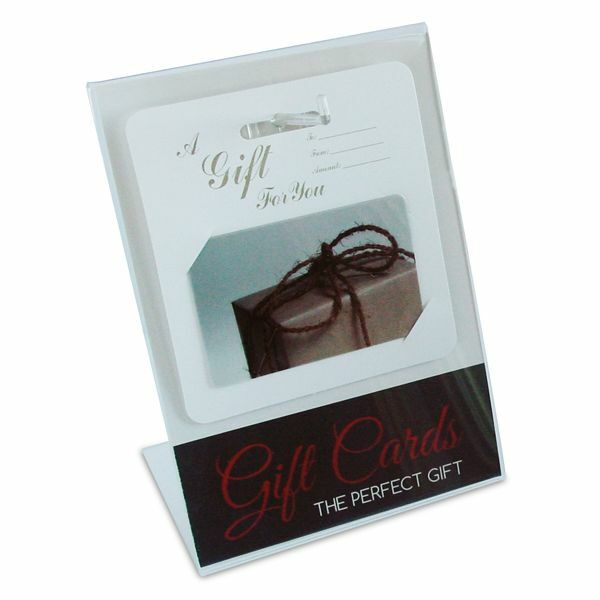 10000+ contact us for pricing. 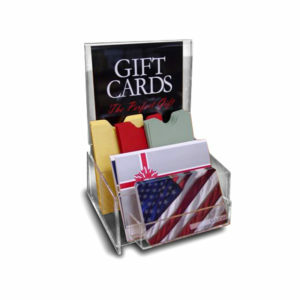 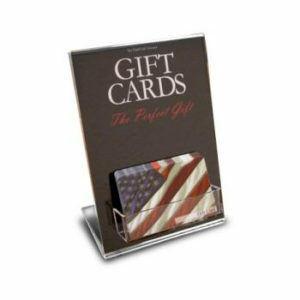 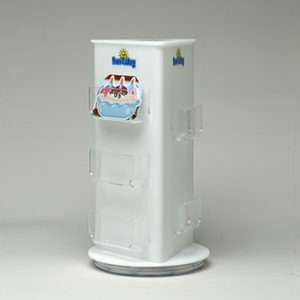 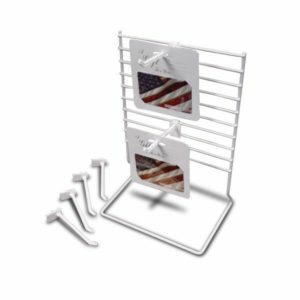 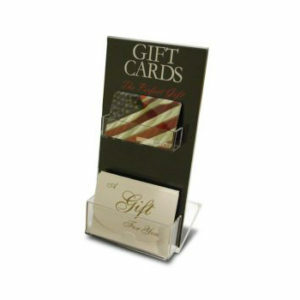 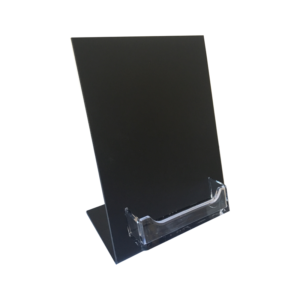 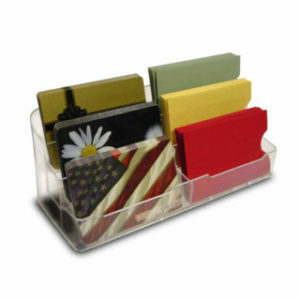 This counter-top display case is perfect for the hanging card holder as well as displaying small hangable items. 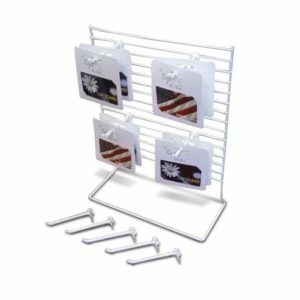 Dimensions are 5in by 7 in and comes with a single plastic hanger that clips to the unit.